When you suddenly lose a loved one in a tragic accident, laws and attorneys are probably the last things in your thoughts. Nevertheless, it’s imperative that survivors speak promptly with an experienced Fresno personal injury attorney. Gathering evidence as soon as possible after an accident helps to establish what happened and who was at fault. At such a vulnerable moment, you need a strong advocate acting on your behalf; you need the law firm of Tomassian, Pimentel & Shapazian. With over 75 years of combined legal experience, our wrongful death attorneys will protect your interests and champion your rights during your time of grieving and loss. There are special rules about who can file a wrongful death lawsuit. You will need to consult with an attorney to figure out who is eligible; but a wrongful death lawsuit may be filed by the personal representative of the deceased’s estate, or by the decedent’s surviving spouse, children or other dependent family members. Settlements of a wrongful death case can be paid in a lump sum or in a structured annuity that pays over a period of time. If a child under the age of 18 is a claimant, a judge will have to approve the settlement. How are wrongful death damages calculated? The law recognizes a special type of damages in a a wrongful death case, its called, ‘loss of society.’ This means that while you can not recover for the grief you have experienced with the death of your family member, you will be entitled to recover for compensation due to loss of support, loss of services, funeral and burial expenses, loss of companionship and sexual cohabitation, their sudden absence in your life; the loss of doing things together and the severance of your close bond. Of course, there could also be the financial losses caused by the loss of income, loss of support or gifts, that your family member provided. What are the differences between survival action vs wrongful death? A wrongful death lawsuit may be filed by the personal representative of the deceased’s estate, or by the decedent’s surviving spouse, children or other dependent family members. A survival cause of action can be filed by the estate’s personal representative, or if none has been appointed, by the decedent’s successor-in-interest. A survival cause of action can only be brought if the decedent did not immediately die from his injuries. However, if the deceased lived for even a short time between the accident and his or her death, then a survival cause of action may be appropriate. Damages recoverable under the statute include “the loss or damage that the decedent sustained or incurred before death, including any penalties or punitive or exemplary damages that the decedent would have been entitled to recover, had the decedent lived, and do not include damages for pain, suffering, or disfigurement.” Essentially, the survival statute allows one to “step into the shoes” of the deceased and recover the damages the deceased person would have been entitled to had they lived, including medical expenses and lost wages, as well as penalties, punitive or exemplary damages. How to choose wrongful death attorney? Carefully. You want to make sure the attorney understands the law and is able to creatively think of ways to demonstrate what your relationship was with the person who died, while ensuring that the relevant facts are preserved. How to find a wrongful death lawyer? Ask your family, friends and colleagues for a suggestion. Ask attorneys you may know for a referral. What are the attorney fees for a wrongful death case? It depends on the factual basis for the death, but it is usually one third if the case is settled before filing suit and 40% if suit must be filed. What are the elements of a wrongful death law case? A wrongful act that caused someone’s death. 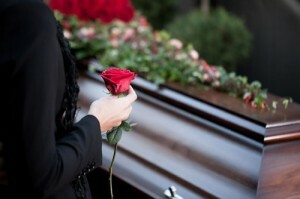 When should I hire an attorney for a wrongful death? What questions should I ask a wrongful death lawyer? The key is to find out how that lawyer will demonstrate to a jury or insurance adjuster how the impact the loss of your loved one has affected your life. California law does not allow compensation for the grief we experience when someone we love dies, so its critical to get an idea of how your attorney will show the impact of this loss. To learn about your right to compensation for the wrongful decease of a loved one, call Tomassian, Pimentel & Shapazian today. Our experienced wrongful death attorneys keep flexible hours to meet your scheduling needs, and we return every call promptly. Tomassian, Pimentel & Shapazian serves clients in Fresno, Madera, Tulare, Kingsburg, and Hanford counties. Our staff speaks Spanish and French, so don’t let a language barrier keep you from the legal help you need. Call the wrongful death attorneys of Tomassian, Pimentel & Shapazian at 559-277-7300 or contact us online to schedule an initial consultation.